Got these injectors with a manifold i purchased, but last 3 numbers of each injector p/n have been scratched off for some reason? Anybody able to identify these or tell me how to? Not really sure what they're good for. 0 280 158 117 ? Thanks mate - another member (immortality) has suggested that they may be injector dynamics injectors. There's a QR code at the bottom of each injector - so I'm not sure whether bosch did that or whether it's from an aftermarket company. If they're the 117's they'd be perfect.. If they are Injector Dynamics they will have there logo and own serial number laser engraved onto the metal part of the injector. 117 if it is the genuine bosch part it will be 54LB @ 3.5bar. If they have a single hole then there likely 100LB and have been drilled. Thanks mate! They have a single hole at the bottom and looks almost like a ballpoint pen in construction lol. I'm guessing 100lb injectors would be too much for a mild 355 (222@.050 roller cam .550" lift, starr manifold, 9.5 comp etc etc)? How would they handle running at 3.0 bar? Send a querry to Injector dynamics with the serial numbers you have and confirm what they are with them, they keep full records of every injector/set they sell. In theory they should be able to supply you with flow graphs for each injector. Injector dynamics got back to me, and these apparently arent supplied by them. 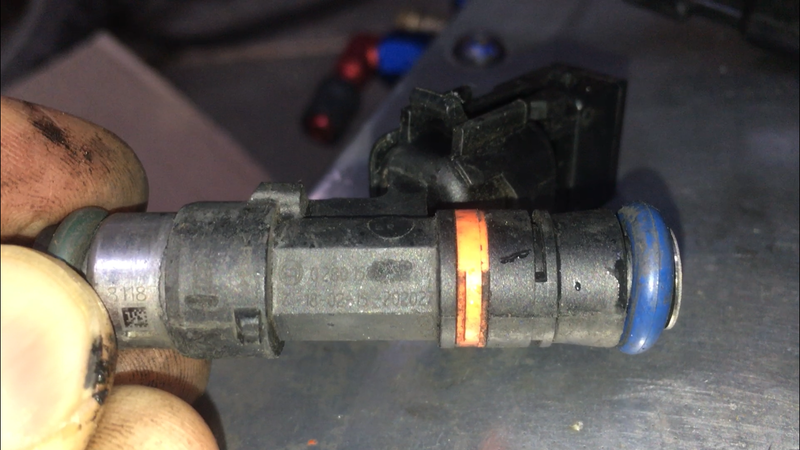 Apparently earlier injector dynamics versions had a part number directly below the connector, which these ones don't. I've emailed raceworks as I suspect that they may be the retailer of these injectors after a little more searching. Will update when i receive a reply. 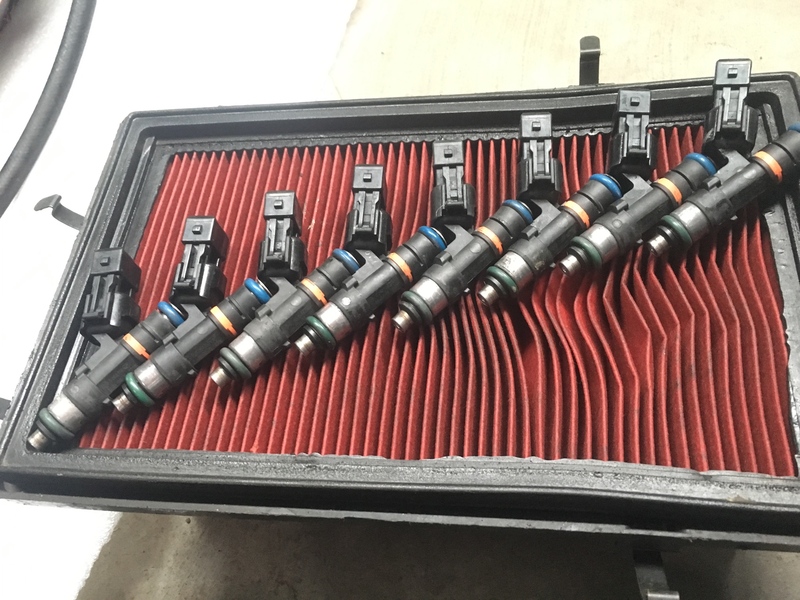 Got in contact with raceworks who couldn't confirm or deny whether these were or weren't their injectors - they certainly appear to be though. They have voltage offset tables that could potentially be used though and I feel that they would be close enough. Send them off to Nigel (The1) for a service and flow. Best money I have spent on my cars! His ATD is next level!